Orthopaedic injuries such as bone fractures and damage to tendons, muscles, and cartilage can have an adverse effect on the quality of life for injury victims. Whether you sustained an orthopaedic injury as a result of a car accident or a slip and fall, you need legal representation that is experienced and diligent. The legal team at MPC Law has fought for orthopaedic injury victims from all over Ontario and recovered millions of dollars in compensation. Orthopaedic injuries often lead to nerve damage and other issues that may have to be resolved by medical procedures. It is not uncommon for the injury victim to suffer from chronic pain as a result of an orthopaedic injury. MPC Law works with a vast network of medical professionals that will properly assess and treat your injuries while our legal team works to provide the monetary relief for you and your family. If you or a loved one has suffered an orthopaedic injury, contact the experts at MPC Law for a free consultation. 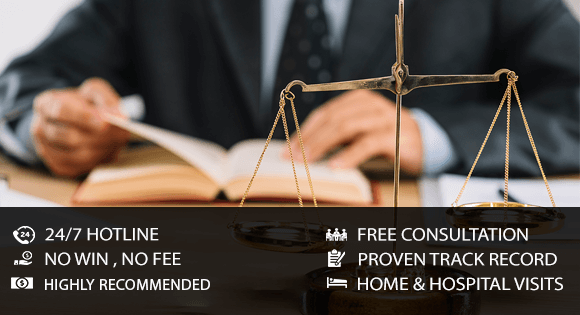 Put the decades of experience and expertise in your corner, and let us fight for your rights and get you the maximum compensation that you deserve.